For almost 35 years, many donors have generosity contributed to our private Catholic school via donations to our various named endowment funds. During the past several years, the endowed scholarship program has grown, and it now includes twenty-eight (28) named endowment funds that provide scholarships ranging from $250 to full tuition for one (1) school year. Some scholarships are awarded based on financial need though others are awarded based on requirements such as grade level, academic successes, student involvement, etc. Christ the King Cathedral School Foundation scholarships are available to returning students who are already pre-enrolled for Kindergarten – 12th grades at Christ the King Cathedral School for the upcoming school year. All funds are paid directly to the CTKC School on behalf of the recipient for tuition assistance. An application should be filled out for each student to be considered for scholarship awards. Based on application responses, the Foundation Scholarship Committee will determine for which scholarships an applicant is eligible. Deadlines for scholarship applications will be announced online and in the weekly newsletter during the spring semester. Applications are now being accepted for the 2019-2020 school year. All applications and supporting documentation are due to the school office no later than 8am on Wednesday, May 1, 2019. 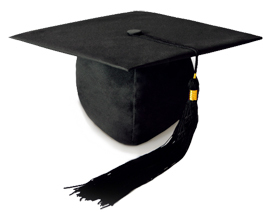 Scholarship awards will be announced at the end of school awards ceremonies the last week of school in May. The Christ the King Cathedral Women’s Organization and CTKC School Foundation accepts scholarship applications each spring from CTKC parishioners & CTKC High School students who are graduating senior girls. Applicants must be a registered member of Christ the King Cathedral parish and/or students at Christ the King Cathedral High School. Applications are currently being accepted from 2019 graduating high school senior girls. For further information, contact Janis Vaughn, W.O. Scholarship Committee 806.787.8713 or Christy Duran, CTKC School Business & Development Director 806.795.8283. Please click on the link to print out the application, complete the required information and return by the deadline of Tuesday, 5/1/19.